During the second half in Rome I was half expecting Doc Emmett Brown to scorch across the Olimpico Stadium’s turf in a DeLorean. For 40 minutes Wales’ class of 2015 turned into the Grandslam class of 2005… and it was glorious. Wales may have not won the title, but it shouldn’t denigrate what was the finest handling and running performance under Warren Gatland. But this performance wasn’t solely built on Hollywood passing and offloads, there was more to it than that. The Welsh scrum, missing test starters, solidified considerably in the second half and the lineout once again finished with an impeccable completion of 100% – 15 from 15. As against Ireland, Wales’ defensive lineout managed to unpick the Italian’s lifting sequences leaving them without a stable set piece. They won just 66.7% of their own lineout ball. Wales’ maul work, both offensively and defensively, continued to excel as it has done since the introduction of Luke Charteris. And Dan Biggar’s line and tactical kicking was once again impeccable, as was his overall game. All of which gave Wales training-ground levels of possession and territory with which to shred the Italian defensive line. And shred it they did. Liam Williams, Rhys Webb, Scott Williams, George North and Sam Warburton delivered as dominant a scoreline as you are likely to see between tier one nations. It was a score line to remember and a performance to savour. 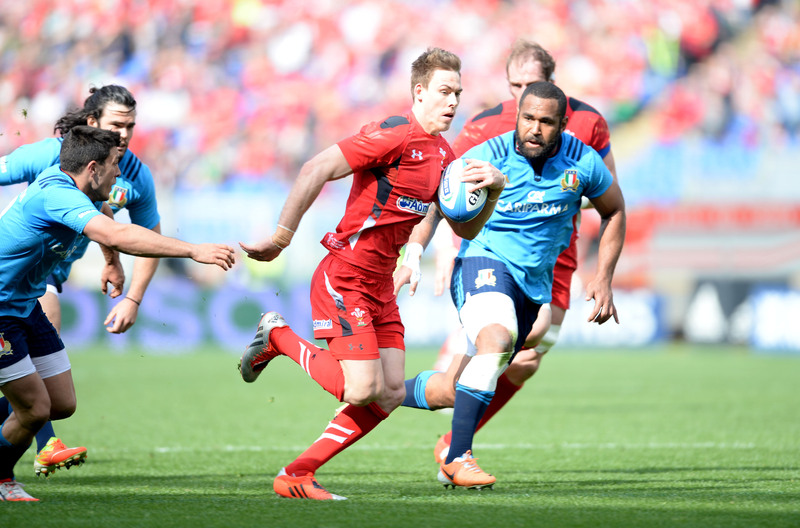 Liam Williams switched to full-back after 34 minutes and with it changed the course of the game. His chance to play in his favoured No 15 position came in unfortunate circumstances, with Leigh Halfpenny once again putting his body on the line and using himself as a human trip-wire. Williams, as always, did the basics perfectly. His defence was as immaculate as was his work under the high ball. Such was William’s ability to hang in the air that Rome experienced five additional solar eclipses on Saturday. But his performance wasn’t about the basics; it was a masterclass in hitting the line at angles that Wales have not experienced since Lee Byrne wore 15. Williams led Wales in clean breaks (four), defenders beaten (five), led the team in metres carried (93) and scored a try in the 47th minute. There is a valid debate to be had between the benefits of Halfpenny and Williams at full-back, but it need not turn into an ugly row. Deciding when, where and how to utilise players with such talent is every coach’s dream. Today’s article may appear to be sponsored by the letter ‘W’, but we must mention the contribution of Webb, Williams and Warburton. Webb’s desire to increase the tempo of the game with quick tap penalties was hugely instrumental, as was his ability to mesmerise ruck guards with his narrow snipes. Scott Williams’ arrival in the 34th minute brought a triple threat skillset onto the field and caused the Italian defence massive problems. Always carrying the ball in two hands, Williams frequently left defenders unsure as to whether he was going to pass, gas, step and fend, kick or simply send 15st 5lbs straight through the middle. As it happens he did all of them at some stage and executed a near perfect performance, out of position too. Warburton once again increased his performance level as he has continued to do throughout the tournament. He saved his best for last and totally dominated the 35-year-old Mauro Bergamasco. Not only did he exert his presence over the ball, but he used his pace to deliver a series of spectacular carries in open field. He was the Welsh pack’s leading carrier with 81 metres and proved that he is way more than just a jackal – there’s a bit of cheetah in there too. 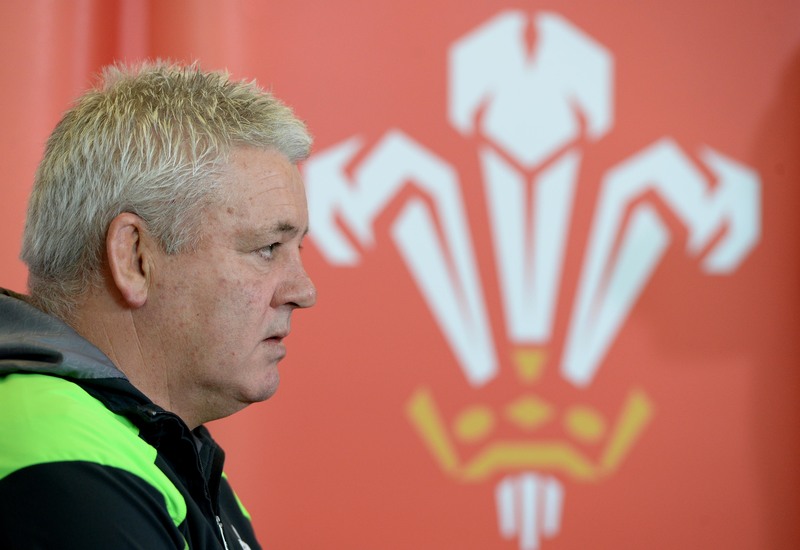 Gatland’s tactics have taken some stick this season, much of it well observed and deserved on occasions. But this was not the case during the second half in Italy. This wasn’t ‘Gatland Ball’ this was ‘Gatland Ballet’. He deliberately selected a team to score tries and that’s exactly what they did. His bench choices were inspired, particularly the inclusion of Ken Owens, who was the pack’s second highest ball carrier despite playing just 25 minutes of the game. The inclusion of Gareth Davies over Mike Phillips wouldn’t have been an easy call in camp but allowed Wales to carry on with their electric tempo even when Webb had finally left the field. Gatland shrewdly altered Wales’ tactics at halftime and sent the ball out to the wide channels as soon as possible on every phase. A wide passing game allowed North to run at wingers and not the back row forwards that he is usually forced to target in the congested central channels. The result was North turning grown men into small boys. Yes, of course this attractive game plan was executed against an uncharacteristically weak Italy, but it proves that the skills do exist in that squad to play in a different way. A genuine positive for Wales. Often when a day of fixtures is given the billing of ‘Super Saturday’ the sport doesn’t live up to expectation. On Saturday though, the ‘label’ wasn’t quite grand enough for the rugby that was produced. Even ‘Super, Stunning, Stonking, Saturday’ would have fallen short. With 221 points and 27 tries from three games, it was incredible. Between them, the six teams carried the ball over 3.2 kilometres. But by far the most important number were the number of smiles and cheers which poured from every rugby club, pub and stadium. Whilst not every supporter will have been pleased with Saturday’s outcomes – particularly Scotland – it was a good day for northern hemisphere rugby. It showed that the northern hemisphere can execute a game-plan that extends beyond a set-piece and kick-chase strategy. It showed that northern hemisphere players are more than capable of executing expansive passing patterns and have the finishers to capitalise on them. 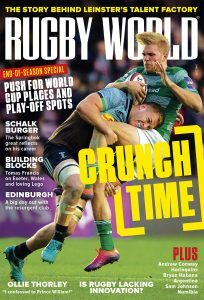 But most importantly it showed that the northern hemisphere has what it takes to be genuinely competitive at the Rugby World Cup. Roll on September.